Acquisition of a new customer is five times costlier than retaining an existing customer. With this in mind, Jo-Ann Fabric and Craft Stores was looking for innovative ways to consistently reactivate lapsed customers and gain insight into the cause of customer lapse to improve future retention. 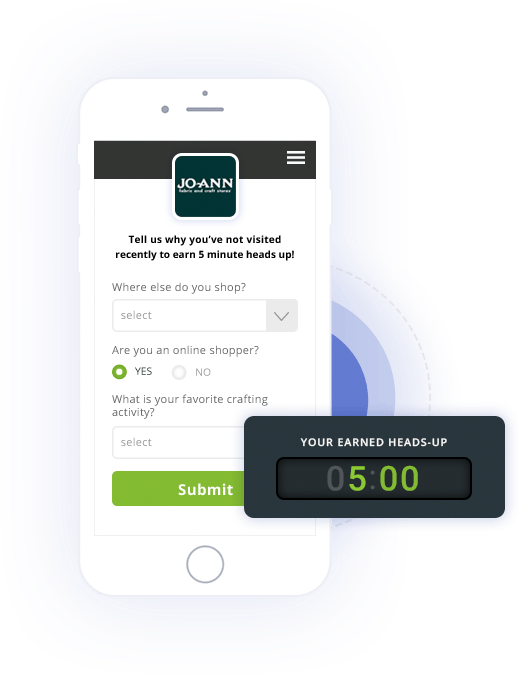 Using the Quikly platform, the Jo-Ann marketing team set up monthly retention activations triggered through their existing email and SMS marketing channels. 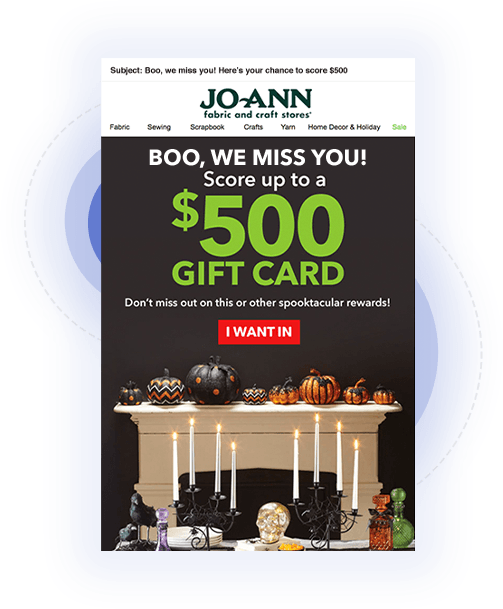 By infusing the urgency to act and fear of missing out with Quikly, Jo-Ann was able to leverage many of the existing promotional offers while capturing incremental consumer participation as well as gather insights from lapsed customers as to why they were no longer shopping their stores. Best yet, these customers were served up single-use, limited-time offers with a reminder of their closest store, which drove thousands of incremental purchases within days. 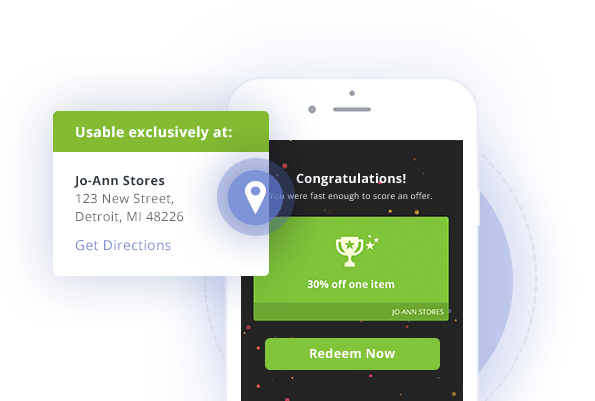 Quikly campaigns achieved the highest performance of any Jo-Ann Fabrics customer re-engagement strategy.